April | 2016 | On The Road in Florida With Idelle! Tibet-Butler Nature Preserve located at 8777 C.R. 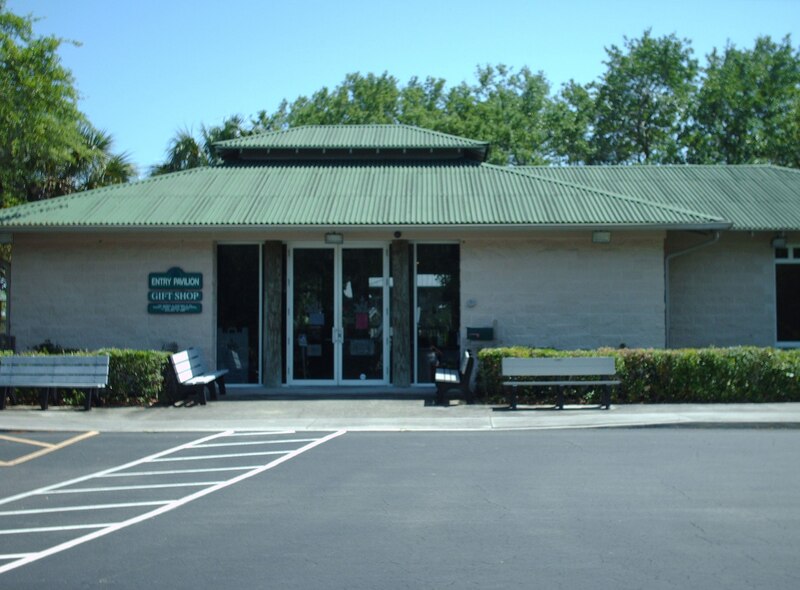 535/Winter Garden-Vineland Road in Windermere. 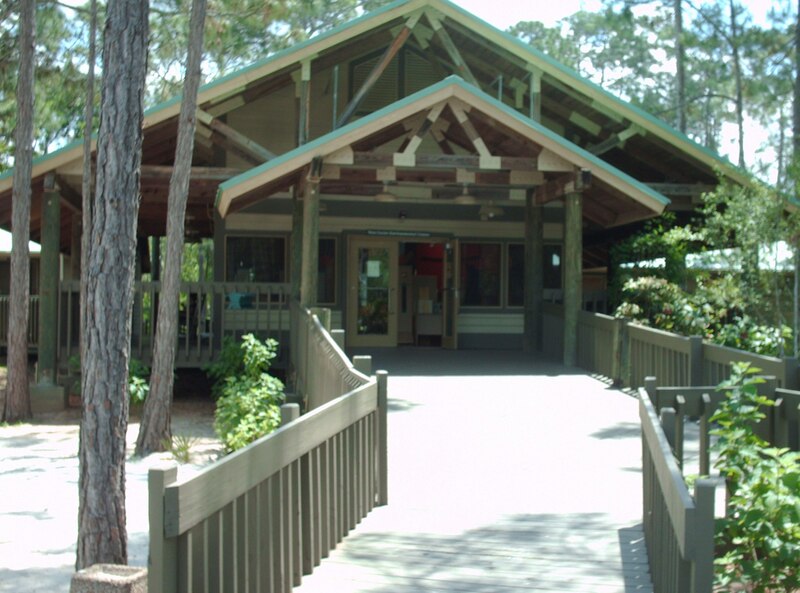 The Vera Carter Environmental Center located in the preserve named after Vera Carter an Orange County Commissioner instrumental in preserving the environment. 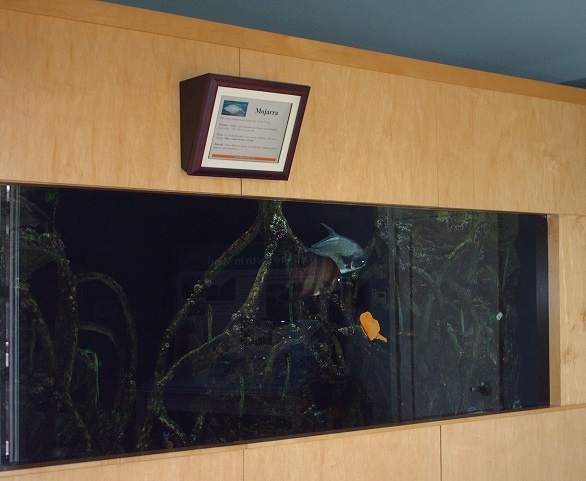 Interactive Exhibits inside the Center include a light-up map that highlights the eleven lakes that makeup the Butler Chain of Lakes. 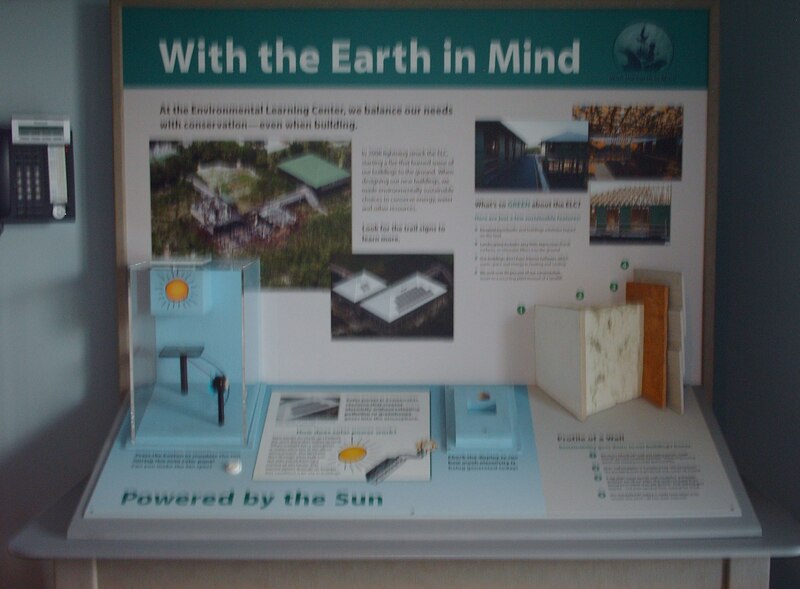 A lightning exhibit that shows the effects of lightning in the cypress dome in the dry season. 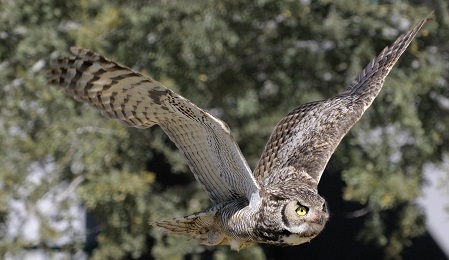 A Green Horned Owl found in the Wild Wetlands of North and South America, a Great Egret, Red Shouldered Hawk and a Snapping Turtle exhibited. 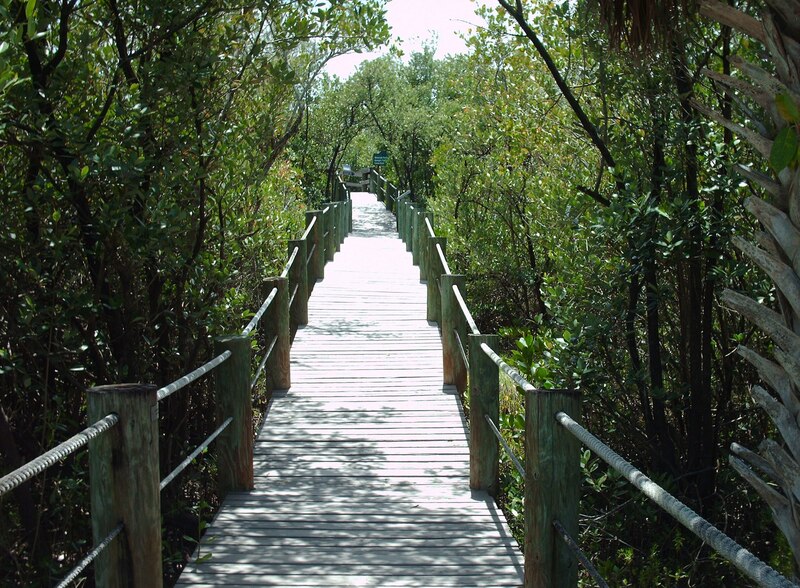 Walk on the sandy trail that surrounds the flower and butterfly gardens. 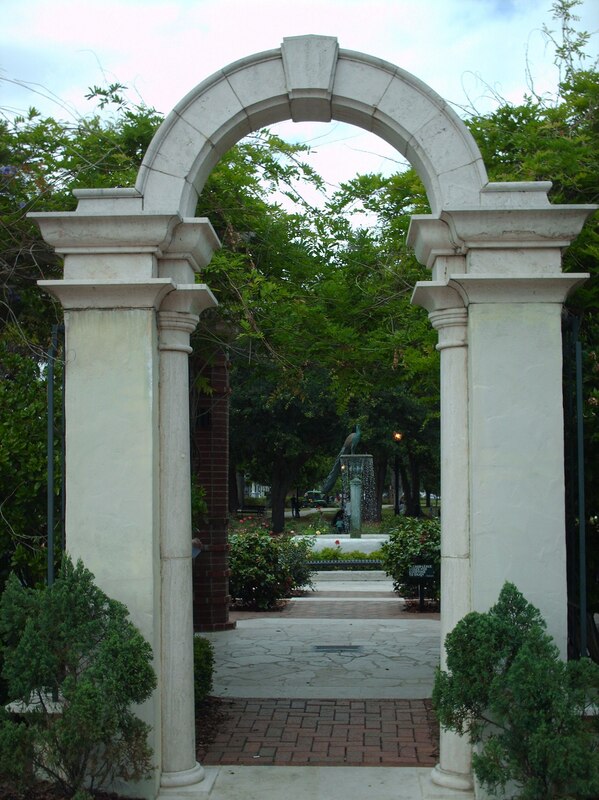 Sit on a bench and relax in the peaceful surroundings. Listen to the song of the Tufted Titmouse a small gray songbird. Birdfeeders in the garden attract different species of birds. 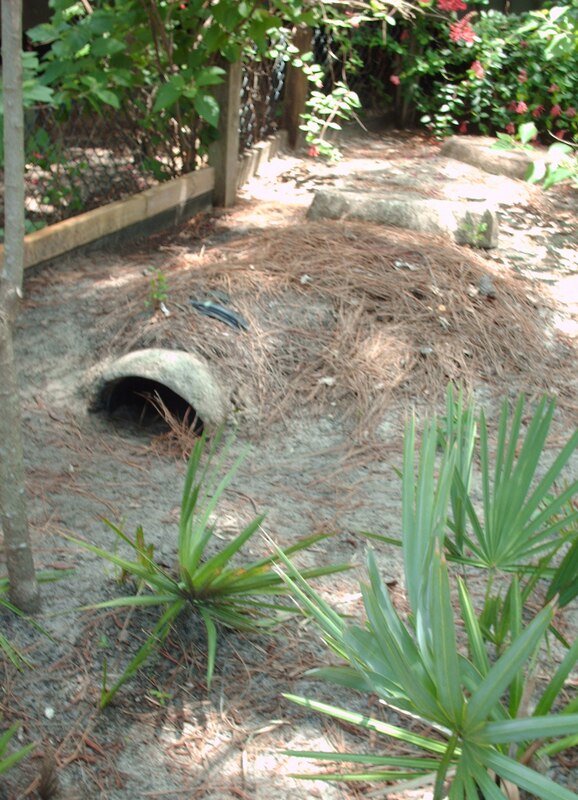 The employee working in the garden said that the two tortoises come out of the burrows any time of day. 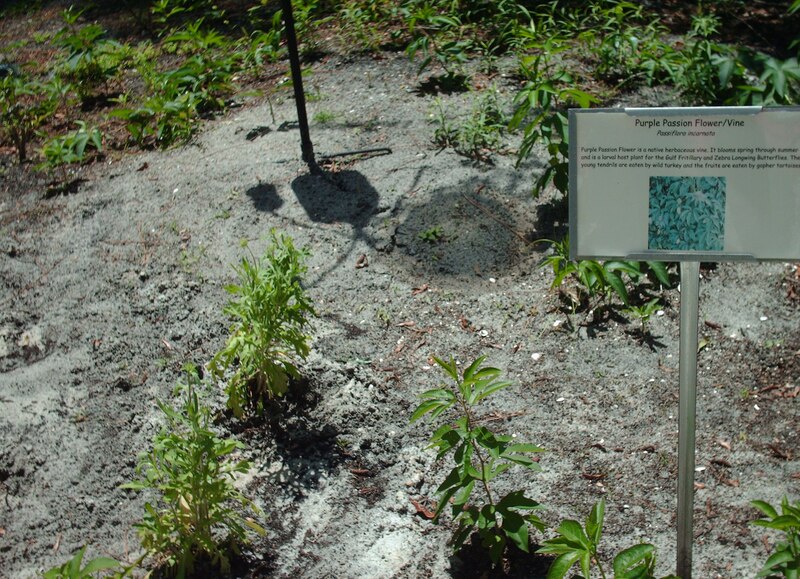 A Blue Porterweed a perennial that attracts butterflies and the fruits of the host plant a Purple Passion Flower/Vine eaten by the Gopher Tortoise. 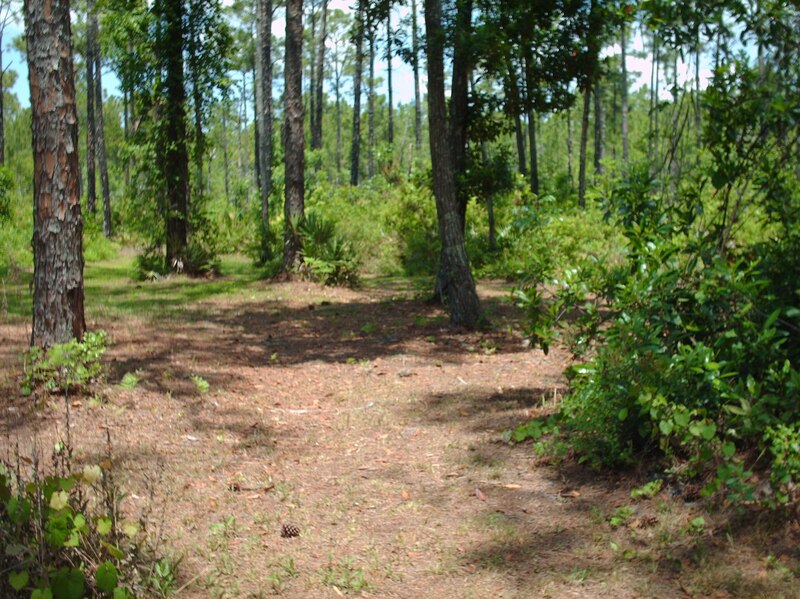 Hike one of the six trails from a one-half mile to more than a mile. 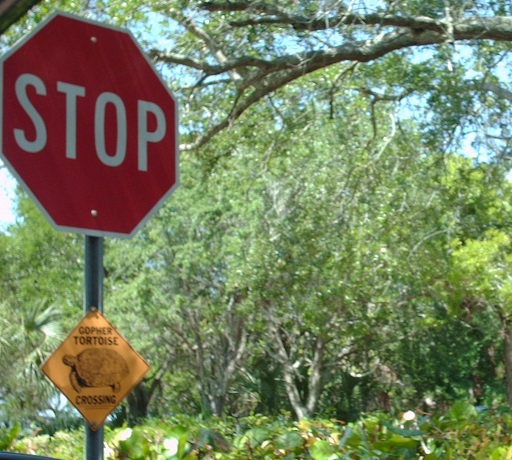 When entering the preserve stop for animals at the crossing. 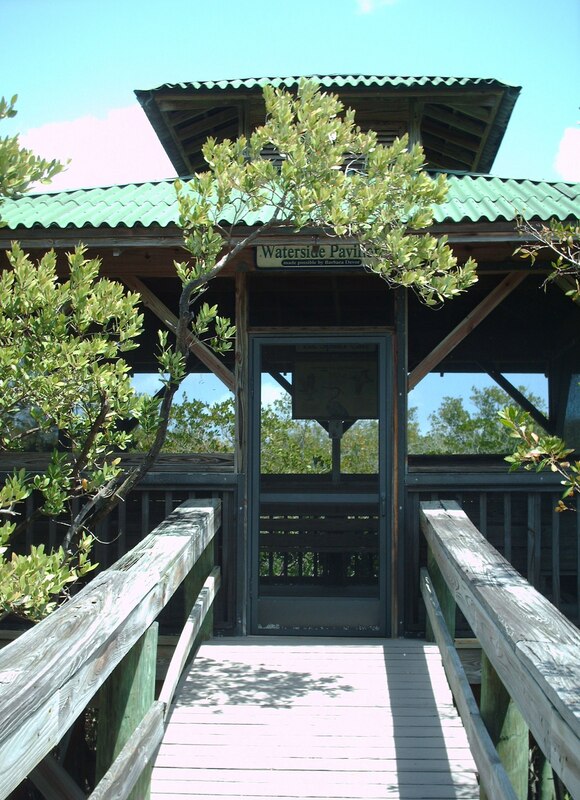 Entrance to the preserve is free, hours of operation on the website. 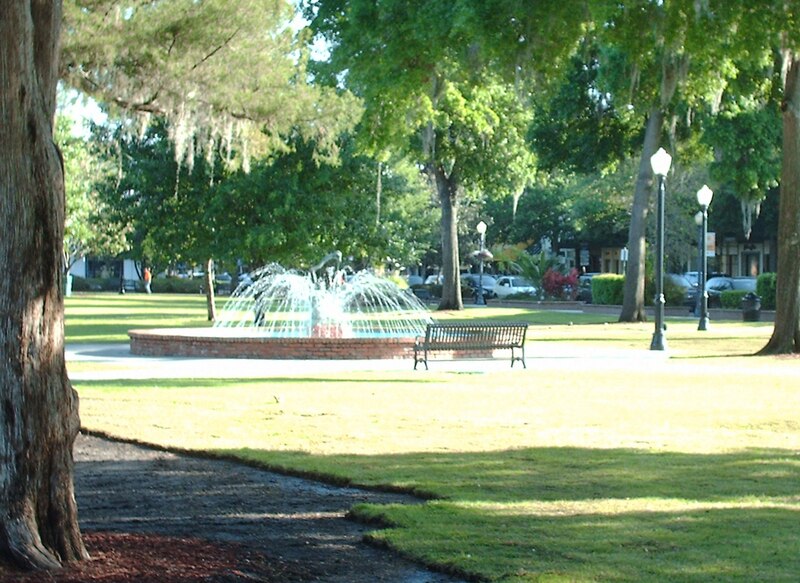 Central Park located on Park Avenue in the heart of Winter Park. Charles Morse an early settler donated the land. 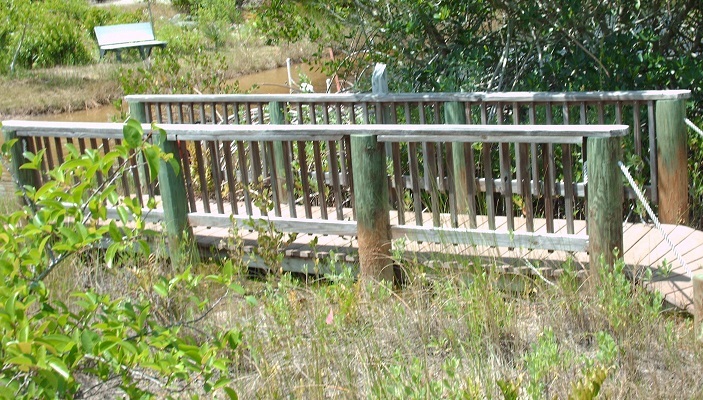 Walk along the brick path and admire the abundance of roses or sit on a bench underneath a trestle. 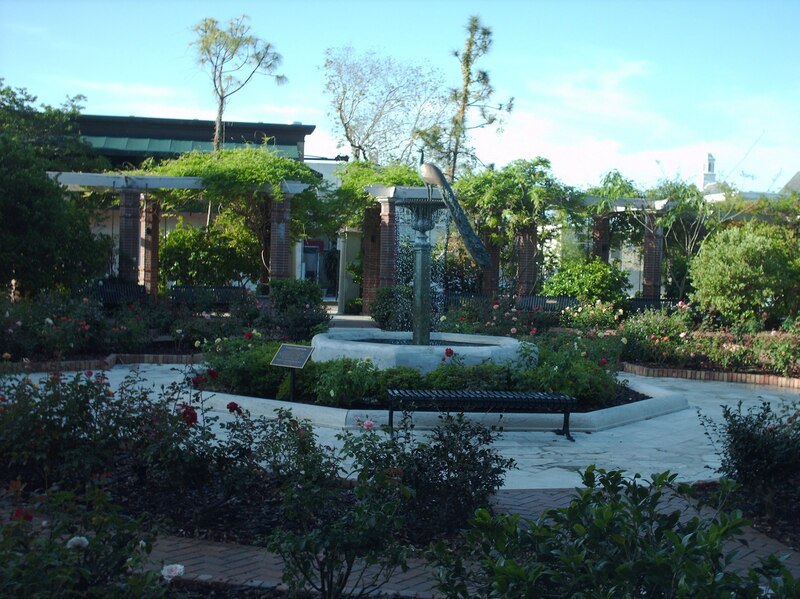 A Peacock Fountain in the rose garden in memory of a classmate and friend by sculptor Lloyd Le Blanc. Sit on a bench and admire the fountains. Emily, a sculpture inside one of the fountains by Albin Polasek a sculptor from Moravia that is now part of the Czech Republic. 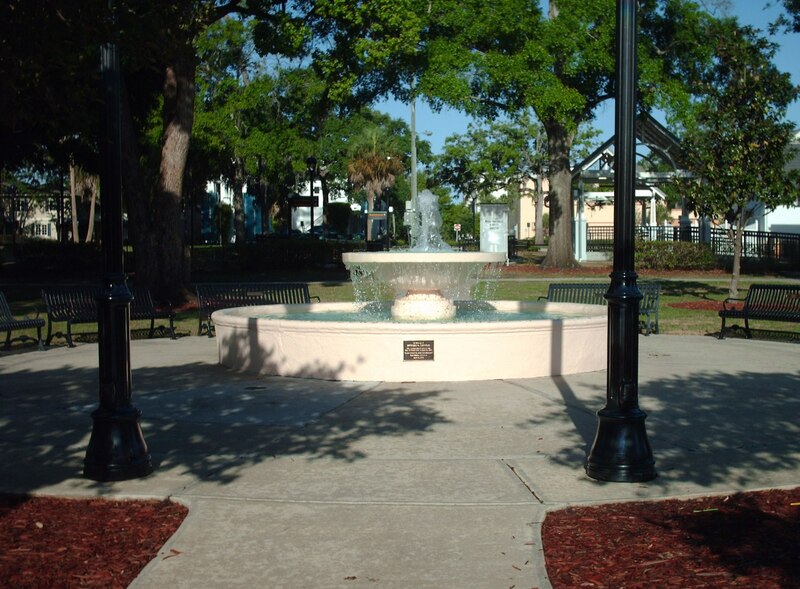 A Veterans Memorial Fountain dedicated to war veterans in the early part of the 20th century donated by Howard G. Lindsay a Winter Park resident. 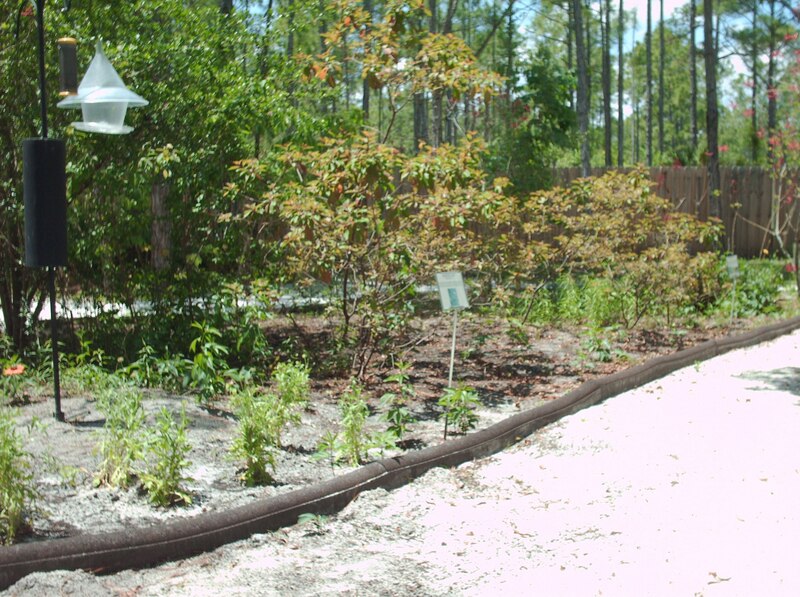 Admire the Tsuboniwa in Japanese means small-scale garden. 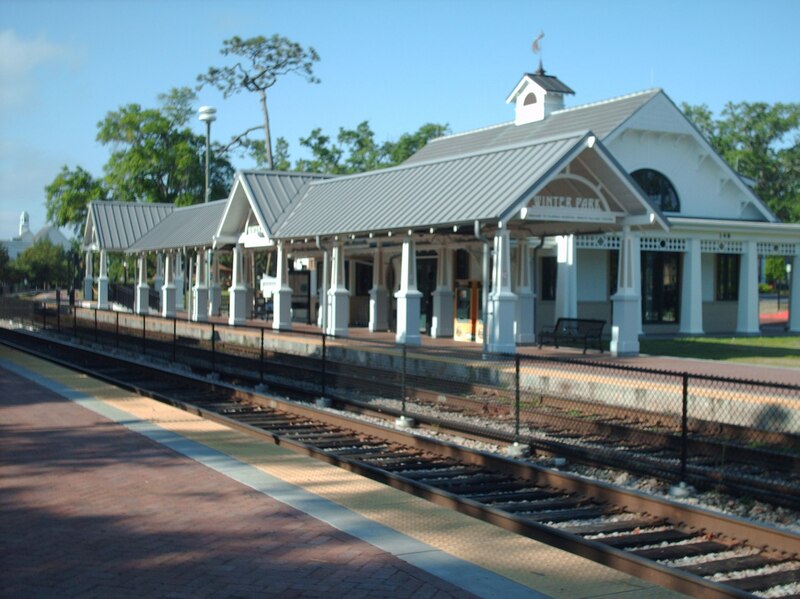 Purchase a ticket in the newly built Winter Park Train Station. 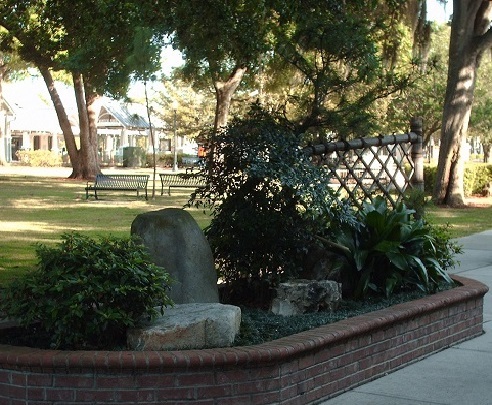 An earlier train station now part of the Winter Park Historical Museum and Farmers Market. Concerts throughout the year at the band stand. Many restaurants and shops along Park Avenue. For special events, contact the number located on the website. 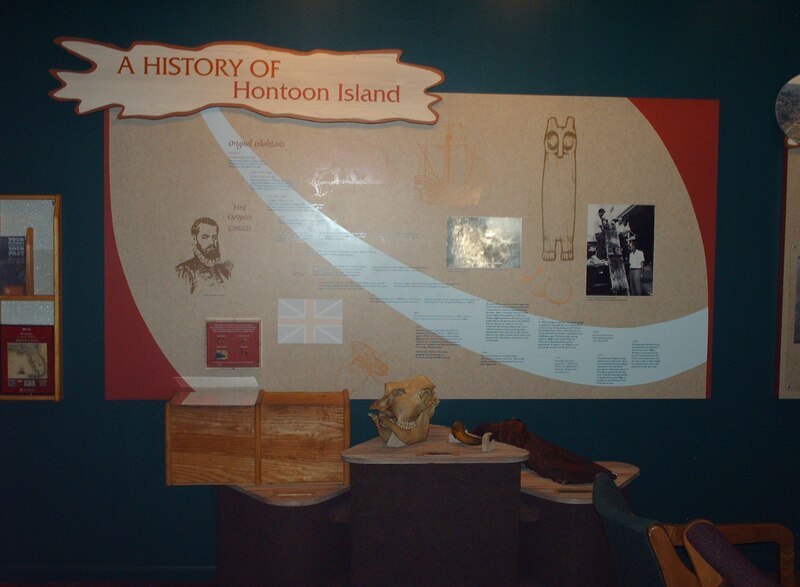 Hontoon Island State Park located at 2309 River Ridge Road in Deland. 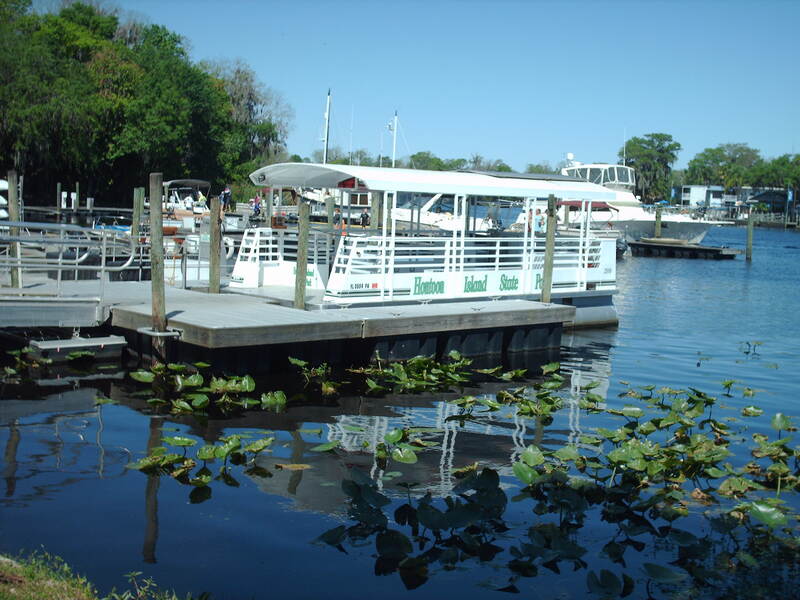 Board the pontoon boat that ferries people to Hontoon Island. The last boat leaves one hour before sunset. Walk along the water’s edge, a good spot to take photographs. 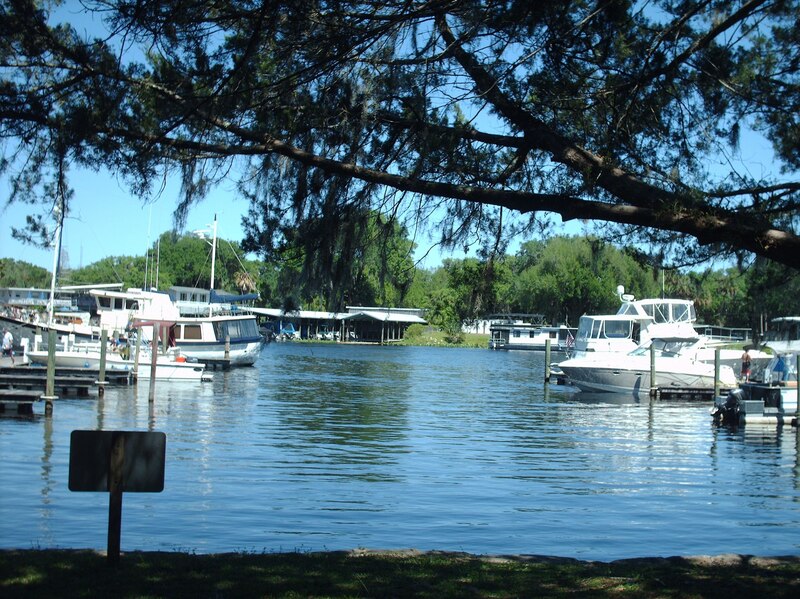 Have a picnic, relax and watch the boats and sometimes a yacht docking and leaving the pier. 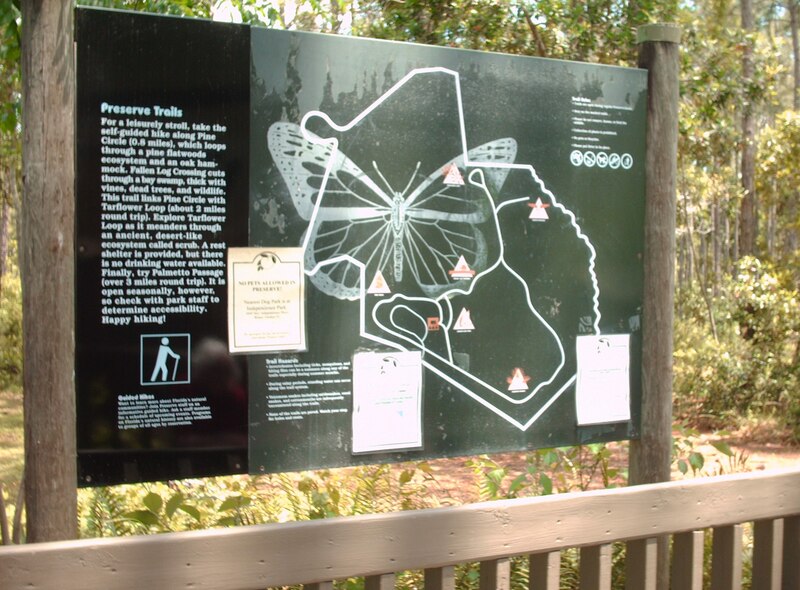 The park encompasses 1,658 acres but only 700 to 800 acres are accessible. 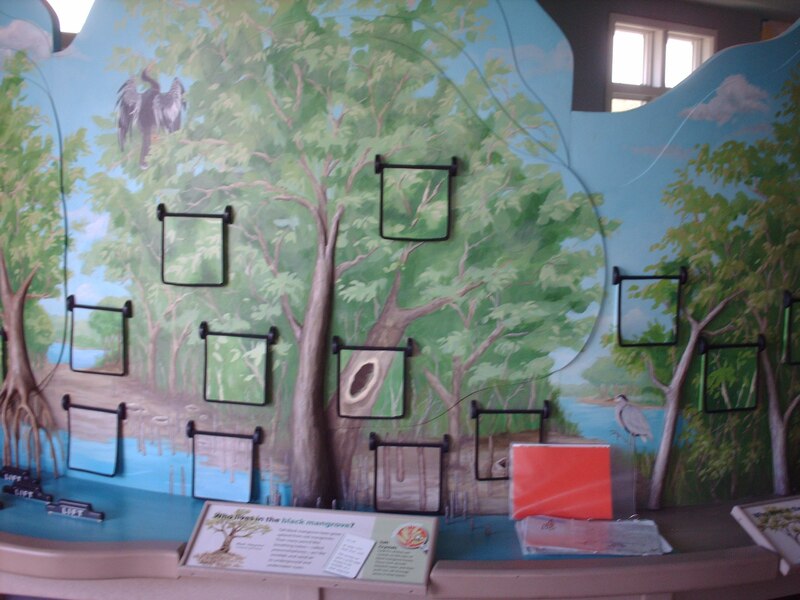 Pick up a trail map before hiking or bicycling the 7 miles of trails. 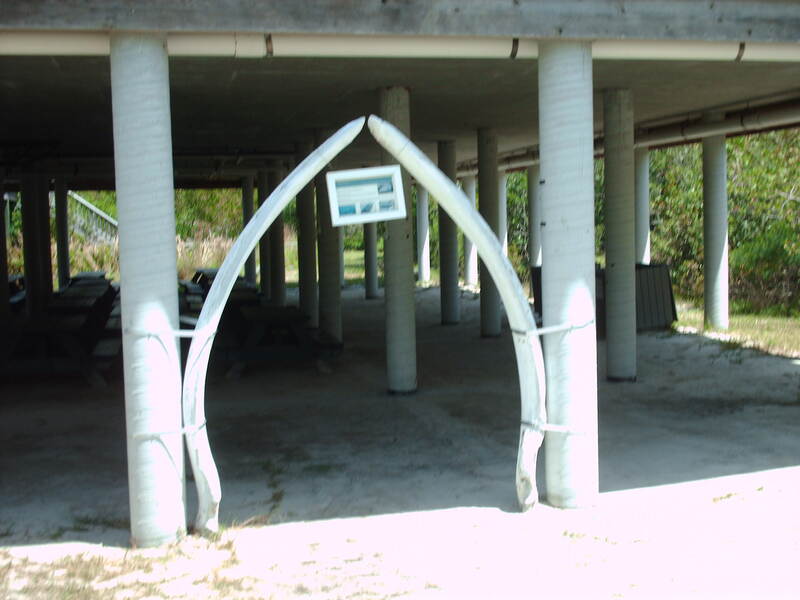 Rent a canoe, kayak or bicycle. 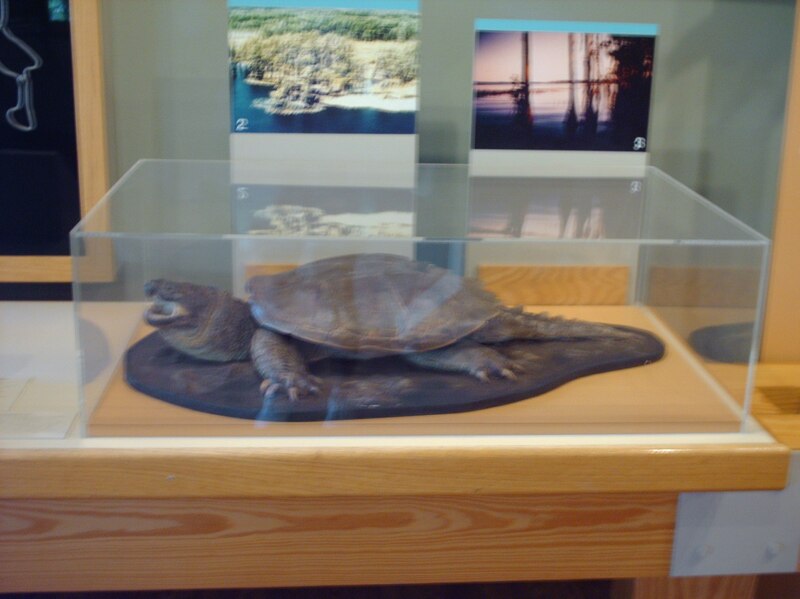 A movie inside the visitor center narrates a story about the park. 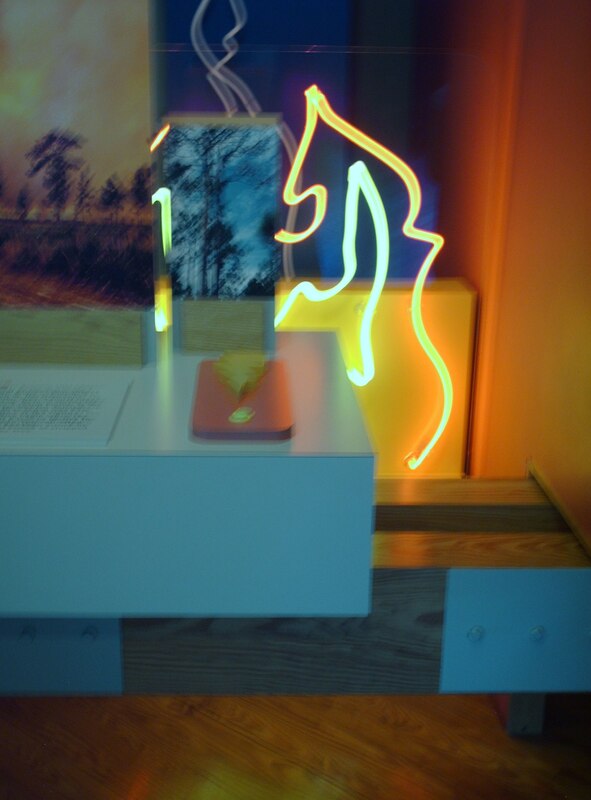 Inside the museum a timeline of events from the Paleoindians the original inhabitants from 12,000 to 9,000 years ago to Barbara Purdy an archaeologist who in the early 1980s excavated Hontoon sites. Dugout canoes a way of travel for the Native Americans. Some of the shells and stones used by the Timucuans on display. 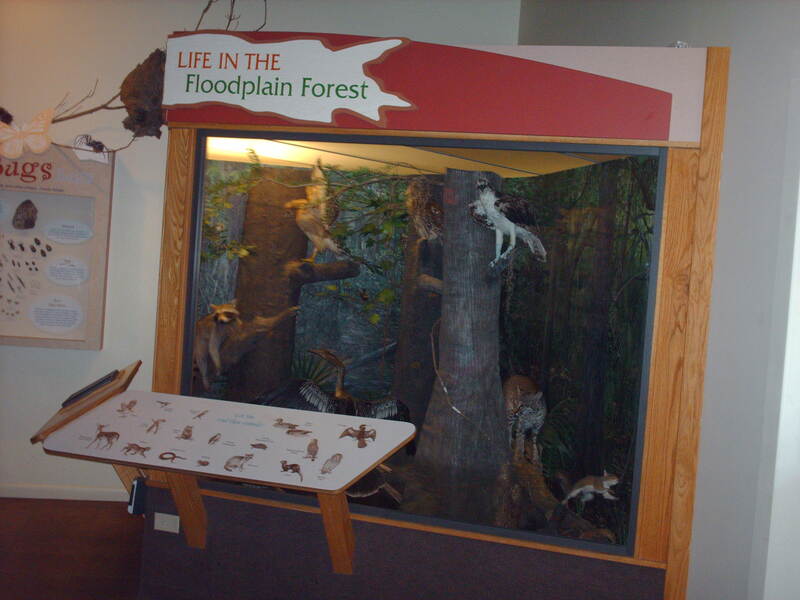 Various exhibits in the museum detailing Life in the Floodplain Forest to Water Resources – traveling the St. Johns River in the late 1820s. 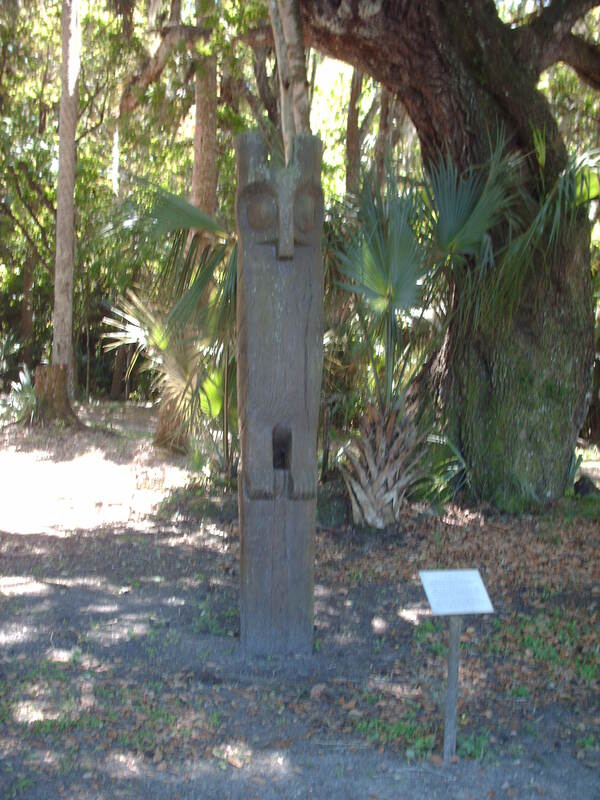 Read about the Owl and Otter Totems found on the island belonging to the Timucuans. 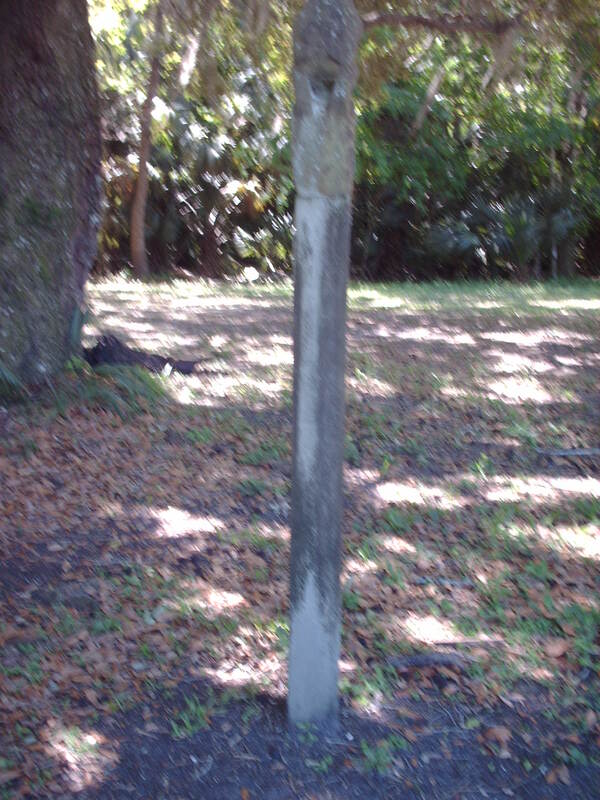 A replica of the Owl Totem found in the mid-1950s. 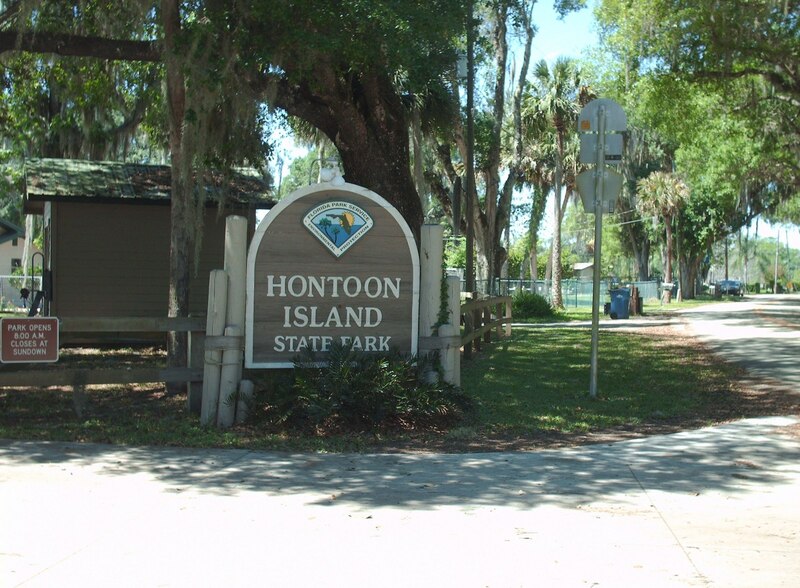 Hontoon Island State Park the only state park that doesn’t charge an entrance fee. Hours of operation on the website.